GUNPOWDER MILITARY RESERVATION, Md. 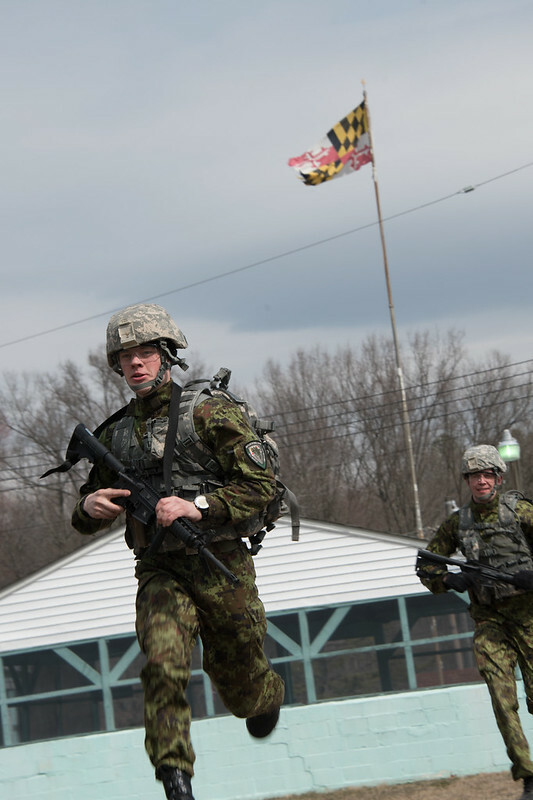 (March 18, 2018) – Service members from the Maryland Army and Air National Guard, as well as state partner nations of Estonia and Bosnia-Herzegovina competed in the Maryland National Guard’s Best Warrior Competition at multiple locations throughout Maryland, March 15-18. 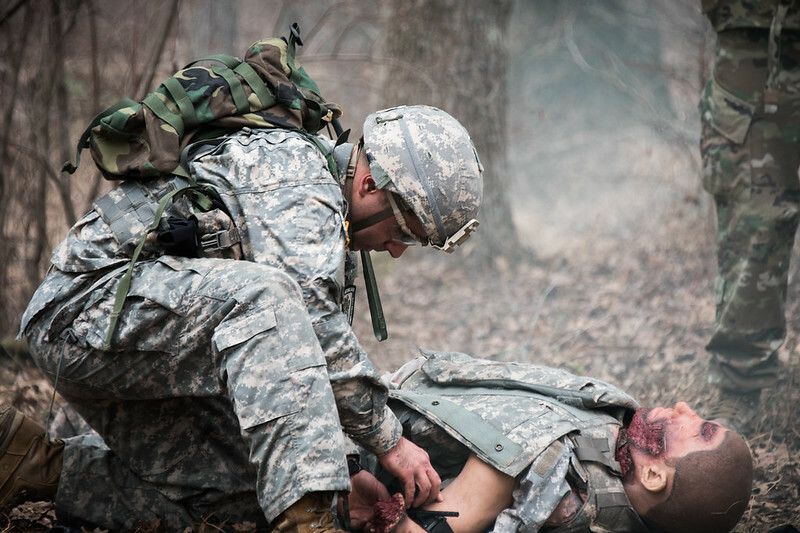 Through their respective service, all 17 participants have earned the title of warrior. The four-day test earned them the title of competitor; but only one earned the title of best company grade officer, best noncommissioned officer and best junior enlisted soldier. From three different countries and two U.S. services branches, competitors arrived wearing their respective unit patches. As a first at this year’s competition, individual unit patches were replaced with a unified competition patch. Together, the competitors endured the same grueling warrior tasks to prove to themselves, their service branch, and their country, just what it means to be the best. The state-level competition tests service members each year further defining best. There is a certain comradery that only the rigors of competition can build. In addition to physical and mental tests, the participants learned from one another. Even while vying for the same goal, the competition strengthened the bonds all the service members share. For Mägi, a conscripted soldier who traveled to the states for the first time for this competition, is a professional cross-country skier in Estonia, he knew he was physically prepared for the challenges of the weekend. Long, hard, and daunting events tested competitors’ endurance, each a measure of just how much of an unpleasant or difficult situation they could bear without giving way. 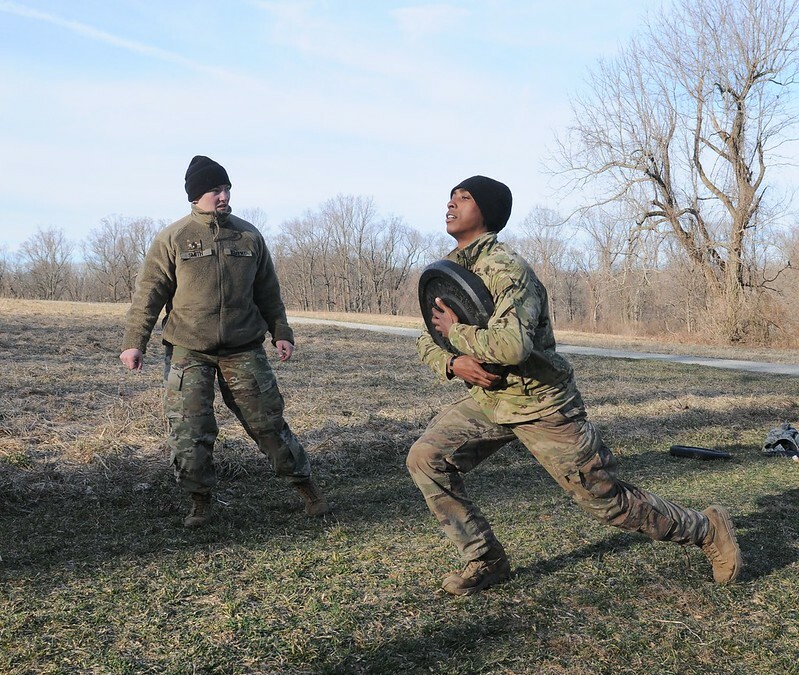 A part of the weekend’s gauntlet included a nearly ten-mile road march, a scored high intensity interval training workout event, and an obstacle course requiring strategy to tackle. When asked how to prepare for a multifaceted competition like this, Senior Airman David Burke, a fusion analyst, 135th Intel Squadron, 175th Wing, followed a single mantra leading up to the weekend. “Just do the work,” said Burke. His idea is simple. The only way to get better is to do it. For Burke, this meant loading up a ruck and hitting the road, in addition to hitting the books. “I focused my studying on my weakest areas, which ultimately became my strengths during the competition,” said Burke. The need to be quick, accurate, and cool under pressure tested each competitors resolve when stressed. Each component tested how they were able to deal with stress; not only to deal with it — but excel within each task while under pressure. The aptly named ‘stress shoot’ demanded speed, maneuvering a casualty loaded sked through challenging terrain including gravel, a long field and over a hill all while receiving simulated fire. Competitors maneuvered to two live-fire ranges where they had to accurately engage targets with a M4 rifle and M9 pistol. Much like drill sergeants, skilled cadre provided added pressure to participants cycling through this station. This event proved to be a lesson on resilience for many. Not every test was as tactical however. Stress took on a different form when competitors were given a mystery task. “I had to completely switch tracks from a physical mentality to one of focus and patience when I saw the puzzle,” said Capt. Jonathan Woodworth, a medical-surgical nurse in the 104th Area Support Medical Company. Competitors were kept on their toes the entire competition. They knew the basics of what to expect: rucking, shooting and warrior tasks – but a puzzle was a surprise for each. Competitors were required to assemble a puzzle of the Maryland state flag. The task was timed, involved many pieces and proved to be a challenge few could finish. Studying, understanding and applying Army doctrine is a key to tactical and technical knowledge. Being able to apply that expertise in the classroom through written exams and then to apply it in the field draws on what it means to be the best. Each competitor had to complete a written exam and appear before a board. For the state partnership soldiers from Estonia and Bosnia-Herzegovina this meant taking written tests in English, which comes as a second language for most. For the competitors, readiness means knowing the standards and procedures and then executing them in the field. Plotting points, shooting an azimuth and planning the route are all standards for land navigation. Being able to reach those points in the darkness however puts that technical knowledge into a tactical perspective. Each competitor drew on their previous training and experiences, but ultimately they relied on each other to bring out the best in themselves. “If they can do it, I can do it,” said Gilbertz. 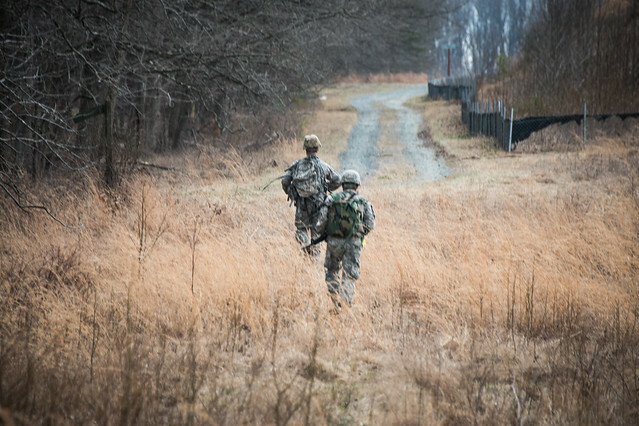 Maryland is the first state to host a combined forces Best Warrior Competition. For Army and Air National Guard members this is an opportunity to represent their brigade or wing. For the international competitors, this is an opportunity to represent their country. 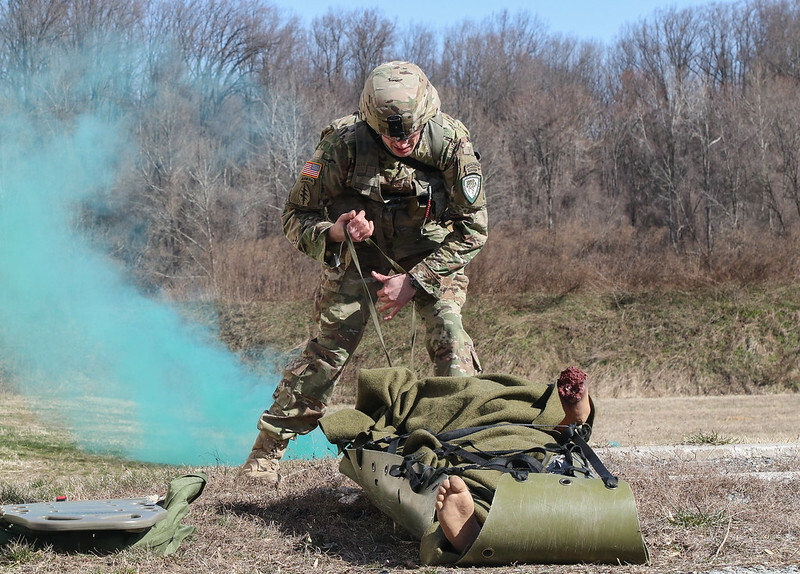 The winning Maryland Army National Guard noncommissioned officer and junior enlisted soldier will go on to represent Maryland at the regional Best Warrior competition in May at Fort Pickett, Virginia. The 2018 Best Warrior Competition winners will be announced shortly. Slideshow: click left or right.